While the gym obviously isn't a club or a fashion show, having the right clothes to work out in can help motivate you and feel more comfortable when you're burning up a sweat. Gone are the days when women's workout wear consisted of men's castoffs. Today, a variety of designers offer gym wear that is comfortable and functional, yet still feminine and fashionable. Build up a wardrobe of clothes to wear to the gym so you're motivated to show off your new duds and your new shape. Before you start purchasing tank tops and yoga pants for your workouts, you need to head to a lingerie store. Purchasing a well-fitting sports bra can mean the difference between a solid workout and a painful experience. Visit a store where you can be professionally measured for a sports bra and try on a variety of bra styles before you choose the one that's right for you and your particular fitness applications. Move around while trying on the bra, bending over and jumping up and down to ensure that it stays in place. While in the past oversized shirts and sweats were the rule at the gym, the more modern gym calls for better-fitting tops. 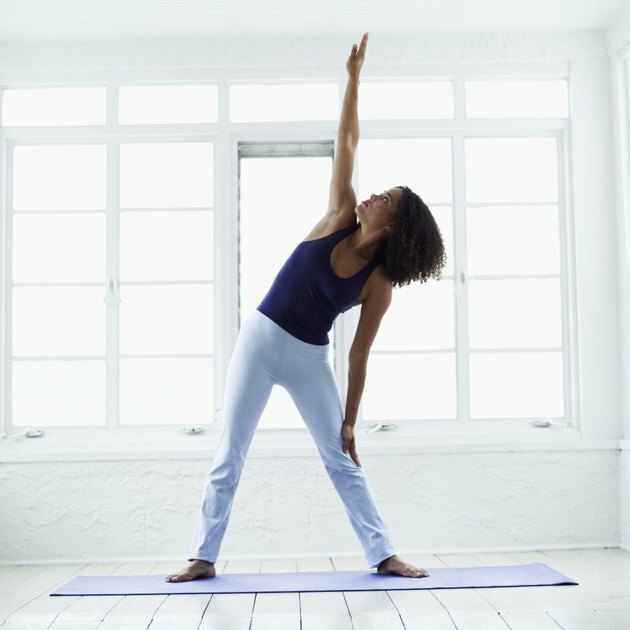 In certain types of gym, such as a yoga studio, tighter clothes are requested, since it gives instructors a better idea of your posture and form. Look for tank tops and slim-fitting clothes made from performance materials that wick away sweat to help keep you cool and dry at the gym. 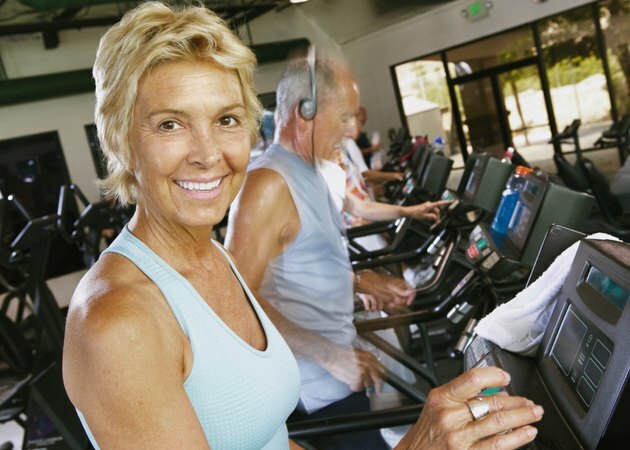 Celebrity trainer David Kirsch says that sloppy gym clothes aren't allowed in his sessions. He reasons that the better you can see your bodily flaws, the more motivated you'll be to work on them. Choose your bottoms based upon the type of exercise you'll be doing once you're at the gym. Women have a wide variety of gym bottoms to choose from, including shorts for cycling classes, cropped leggings for yoga and stretch pants for Pilates and general exercise. Look for good quality bottoms that don't stretch out after a few wearings and have an adjustable waistline for a more personalized fit. Purchase a few different styles and wear them to the gym; you'll soon be able to choose which type of pants you like the best. Choose the right footwear for your preferred activities. Running shoes generally aren't suited for aerobics classes and cross trainers usually aren't good for running. Another factor is the shape of your foot. You may need extra support or padding in the arches, depending on whether you have a high or low arch, or flat feet. Retail stores specializing in sporting goods and athletic shoes may offer free gait analysis, which helps you select the correct shoe for your chosen activity. It's understandable that when heading to the gym, you want to look attractive and presentable. If you must wear makeup, choose sheer, light foundation that won't clog pores. Add a couple of coats of waterproof mascara and then pull your hair out of your face. It's an easy and functional look that still allows you to look polished at the gym. ACE Fitness: Fit Life -- SAVE or SPLURGE on Fitness Apparel?